Hey friends! Stopping in today to bring you these Easter cupcakes. I seriously had no plans on sharing this one today. So, I woke up thinking how fun it would be to make a cupcake for Easter with festive candy (the ones a lot of us love). I made these cupcakes and thought, ‘Dawn, you dummy, you have got to share this soon in order to be timely for Easter.’ Yeah, duh. Anywho, without further adieu, Easter Cupcakes! I don’t have any strong Easter traditions nowadays. Growing up, though, I always remember my grandparents giving my brother and I these hollow chocolate Easter eggs with our names written on them in icing sugar. I remember you could get them at the mall. Unfortunately, I don’t recall seeing them in recent years, but they were such a big part of our childhood. I asked hubby about his Easter traditions growing up and he said it was always a big deal, especially when he was a kid. His mother would make, like, a hundred ‘Easter buns’ (probably not that many, but as a kid everything is exaggerated, am I right?). He said that him and his sister were not allowed to put their little hands on them until guests arrived. They were, however, allowed to have the duds…those that weren’t just perfect. Sounds like something I’d do now, lol. Leftover Candy for this Delish Easter Recipe Idea! Enough reminiscing, let’s talk candy. Let’s talk Easter Cupcakes! So for the recipe, I used generic ‘mini egg’ candy cause that’s what I came across at the grocery and that’s what was on sale. Man, they taste good though. I used Mini Eggs last year in a bundt cake. Have you ever used them in anything? Do tell! 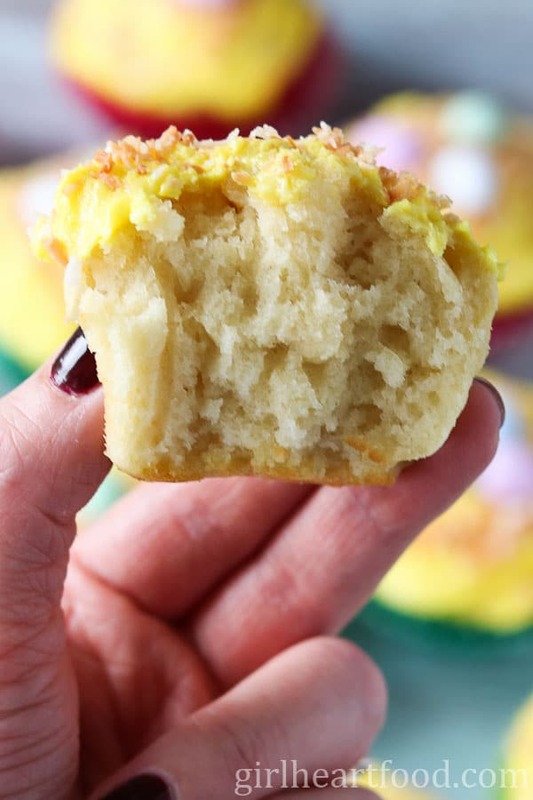 The base of these vanilla cupcakes are super simple to whip up. And it’s probably ingredients you have on hand so what are ya waiting for 😉 ? I put gel food colouring in the buttercream, but that’s totally optional. The key to frosting, is to wait until they are completely cooled. Otherwise, you will end up with a hot mess of melted butter and who wants that? I mean, unless you are eating lobster or something….. Mix together flour and other dry ingredients for the vanilla cupcake base. In a blend mix together butter and sugar. Add eggs, one at a time. Blend in vanilla extract. To butter mixture, add half of the dry ingredients. Then, half of the milk. Repeat. Spritz cupcake liners with baking spray, divide cupcake batter into liners and bake. Let cool completely before icing and adding coconut and Easter candy. Tell me below what are some Easter traditions of yours, either growing up or now. Do you have any fun Easter recipe ideas? I’d love to hear! 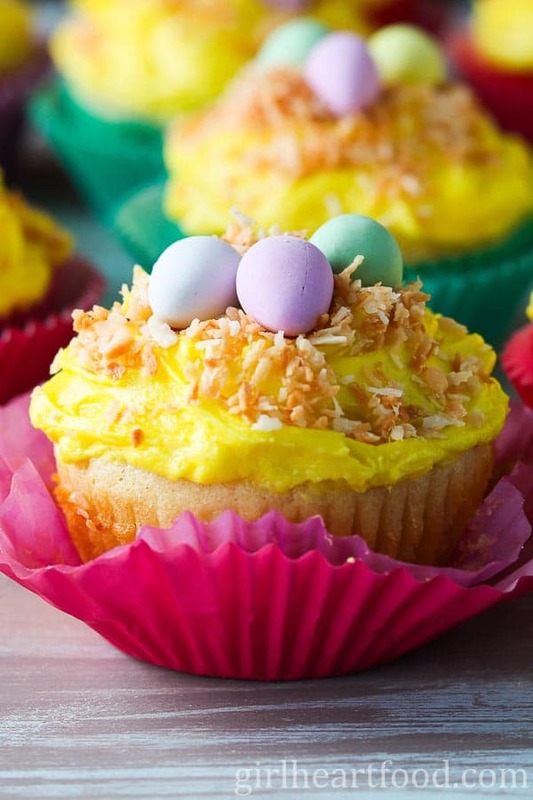 Whatever your weekend involves, I hope they include these delicious Easter cupcakes! 1/3 cup unsweetened shredded coconut -toasted. See note below. Preheat oven to 350F. In a bowl combine flour, baking powder, baking soda and salt. Stir to combine and lay to one side. In a stand mixer, blend sugar with butter until smooth, about 2 minutes. Add eggs, one at a time. Then add vanilla and mix to combine. To butter mixture add about half the flour mixture and half the milk and blend. Repeat with remaining flour and milk until blending, about 1-2 minutes. Place cupcake liners in a 12 capacity tin and spray with baking spray. Distribute mixture among liners, about 2/3 full. Bake for 18 minutes or until wooden skewer comes out clean when inserted. Let cool for about 5 minutes before removing and letting cool completely before frosting. Spoon (or pipe) frosting over COOLED cupcakes. Sprinkle with toasted coconut and top with candy (about 3 per cupcake). Enjoy! In a stand mixer mix butter with one cup of icing sugar. Add additional cup of icing sugar and mix until smooth. Add vanilla extract and milk and blend until smooth. Spoon over cupcakes or pipe using piping bag. To toast coconut, place on a parchment lined baking sheet and bake about 3-4 minutes until golden brown. Watch because it can brown quickly. 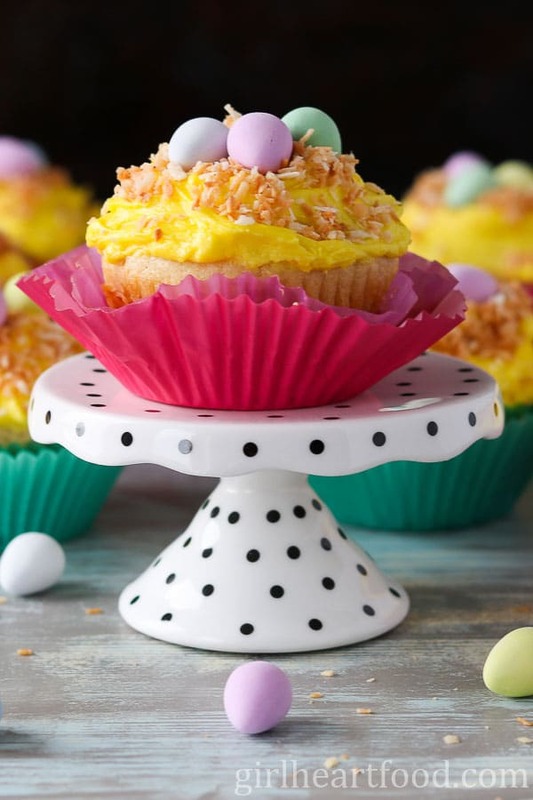 Speaking of dramatic – wow – these cupcakes look so good and such the centerpiece – I’m thinking I need to go to the store to get me some Easter candy to make these! Happy Wednesday Dawn – hoping our week has been wonderful so far! Must say, these are one of the most cute cupcakes that I have seen whole day. Such a great share! Those are beautiful little cupcakes! I love the little “nests” on top. They are yummy little nest too! This is the first year we didn’t spend Easter with our extended families. We took a spring break trip so it was just our family. I still broke out the Easter candy, but no big baking for us this year. I know…seems like there’s a lot more to Easter activities now than when I was a kid. Haha – happy to hear it 😉 Thanks Ben! Love that inside shot of the texture, Dawn. You nailed it – fluffy cupcake perfection! 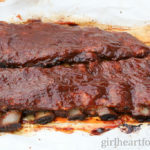 I have to fess up – I have a slew of words that I’m not crazy about when describing food and moist is one of them. 😉 But sometimes there is just no better word to describe something! You go right ahead and say that these are moist if they are. Because that means delicious, mouthfeel is so important to me. Fluffy can be dry at the same time and that is not cool😜My son would be all over these pretty cupcakes. Poor kid had a stomach virus episode this past weekend and has not eaten anythting. Will surprise him with a late Easter treat this week. Plus, I was raised Orthodox and the Orthodox Easter is this coming weekend 😉 With the roast lamb and all..
Hahaha…thanks Milena 😉 Sorry to hear about your son – hope he feels a-ok soon!! You certainly have lots to look forward to this weekend…love lamb! Haha! I totally know what you mean about making recipes and then being like “oh wait, I need to post these ASAP if folks are actually going to make this for the holiday.” Laura is getting used to me making stuff a good month before the holiday in question now. Oh well. The life of a food blogger, right? 🙂 Also, cupcakes. You can’t go wrong with a classic cupcake, and these look delicious, Dawn! I love the toasted coconut on top. Are there any leftovers?? Haha! 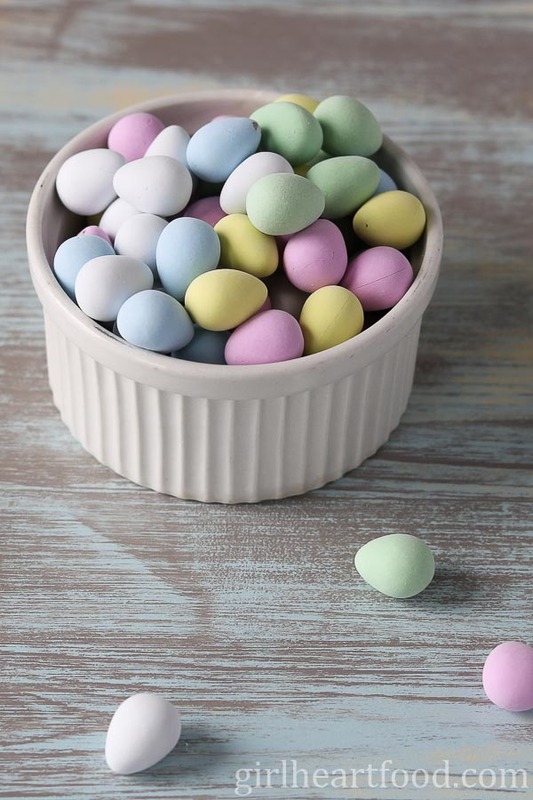 So pretty and such a great way to use up Easter candy! Thank you Jennifer 🙂 Hope you had a lovely weekend! Hi Dawn. Funny you mention those Easter Eggs that you write your name on…I found some at Piper’s the other day. Unfortunately there wasn’t anyone there to write the names on them. Too bad. My favourite Easter tradition was from when we were little, we’d go to my aunt’s house on Easter Monday for a big Easter party. It was the best! Hi Andrea! Piper’s? I’ll have to check that out….for nostalgia purposes at all 😉 Sounds like a lovely tradition 🙂 Happy Easter to ya! Hahaha! I don’t have an aversion to the word moist either but I always hesitate to use it when I’m describing food because I know so many people don’t like it. Sometimes it’s just necessary though! These cupcakes look perfect for tomorrow. Happy Easter! Glad I’m not the only one 😉 Thank you Kelsie! Happy Easter! I don’t get it either, but I have no problem with moist. I think these cupcakes look yummy and perfectly moist 🙂 My favorite Easter tradition is the one we had with our kids. Some friends of ours used to throw a huge Eater party and egg hunt every year and had as much as 100 guests. We always look forward to that! Happy Easter!! I totally remember those hollow eggs with our names written in icing! I hadn’t thought of those in years. That’s a flashback! My request of the Easter bunny was always a crispy bunny. Now, I’m all about the peanut butter and chocolate, and it’s usually a homemade treat! As for using the word ‘moist’ as a description, I still do it all the time. Seems totally appropriate for these cupcakes! Happy Easter Dawn! I love the fluffiness of the cupcakes! And the coconut is a great touch. Have a great Easter!